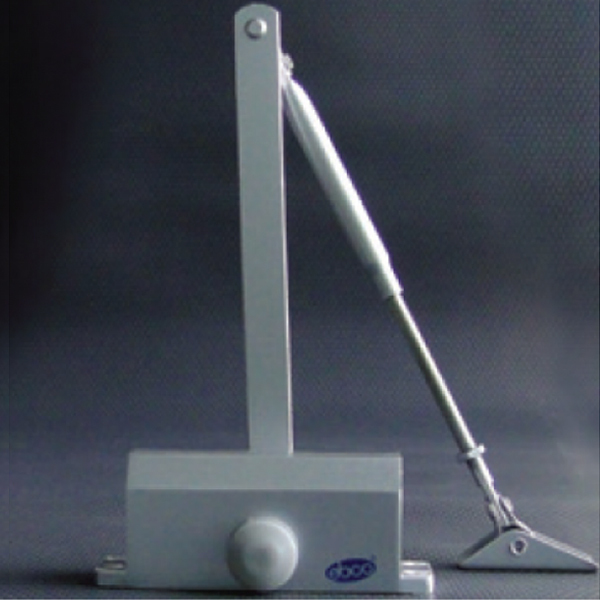 Door weight (kg) upto 65kgs. 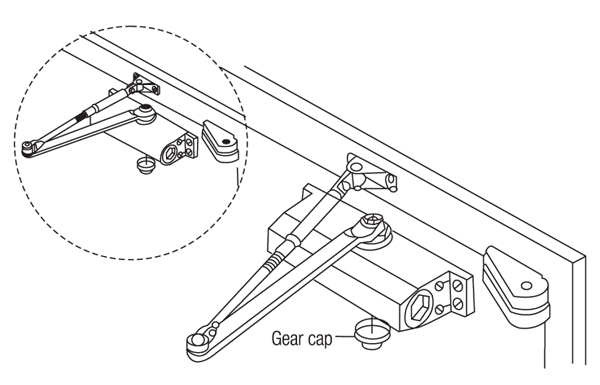 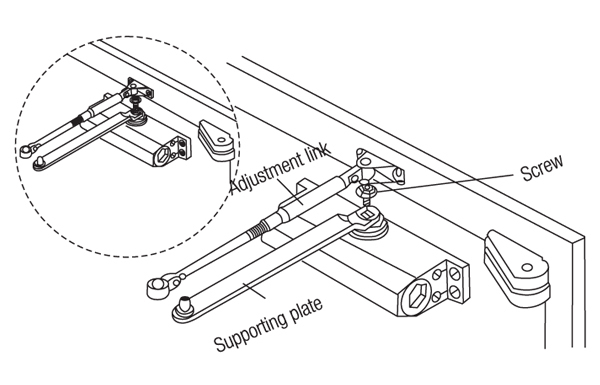 Adjustable section of closing speed 180º - 20º. 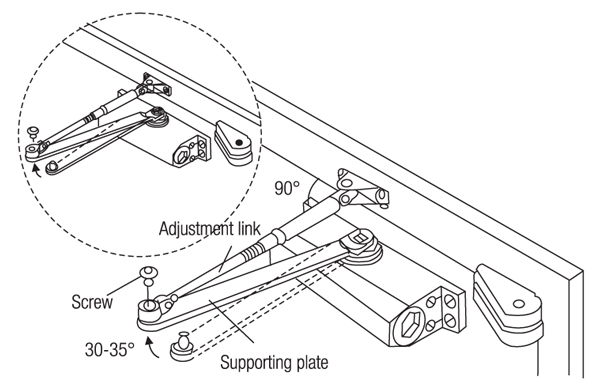 Adjustable section of latching speed 20º - 0º. 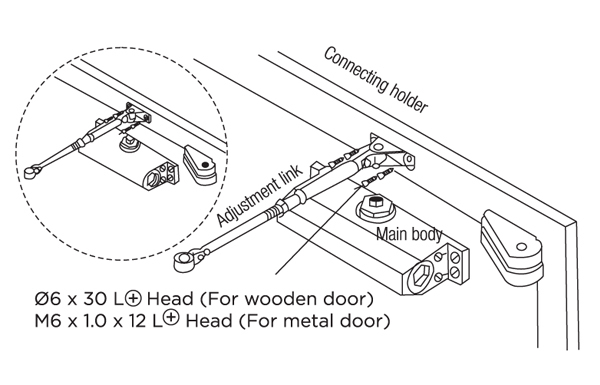 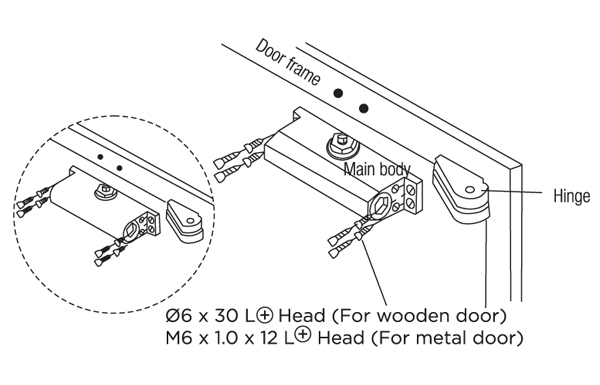 The door closer is suitable for installing in various doors , such as wooden door, metal door, glass door, etc. 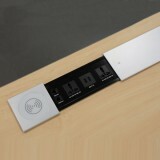 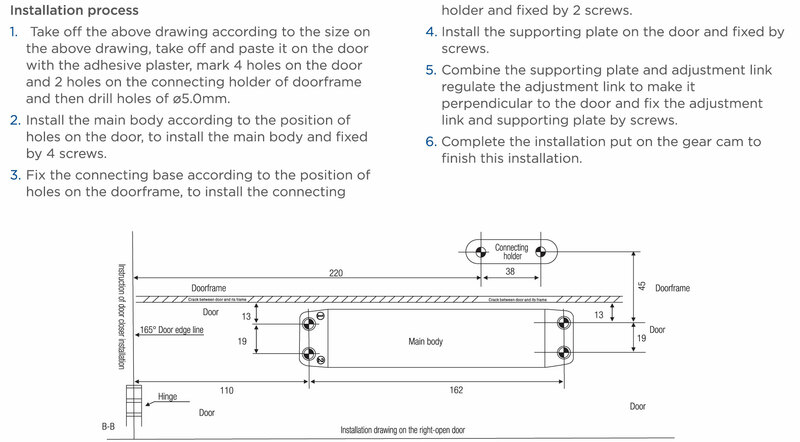 The installation modes of vertical, parallel and slide - rail type all can be chosen at will. 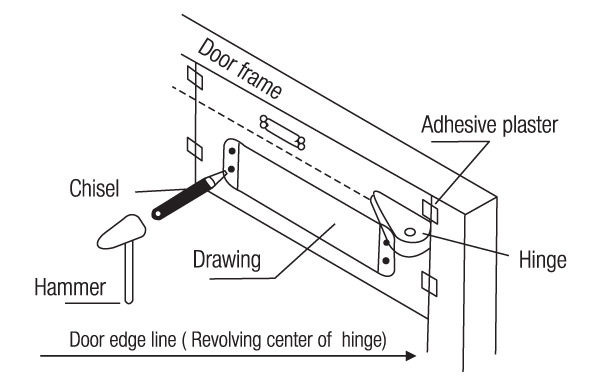 The door closer can be chosen to stop or unstop are will. 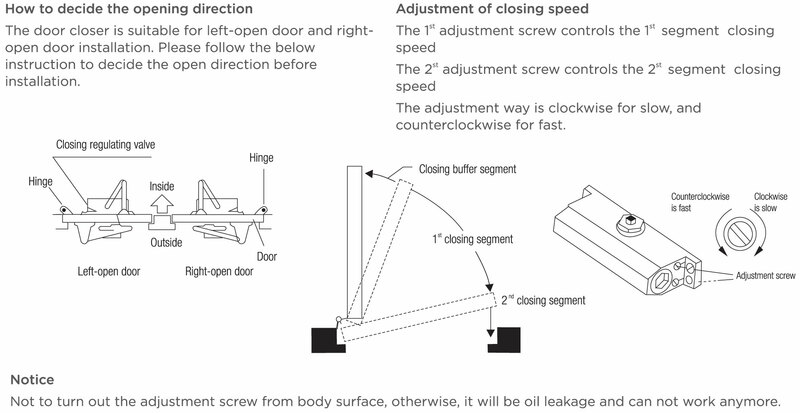 Continuous adjustment of closing and latching speed the fast speed can be adjusted to within 3 seconds from 90º, slowness close can reach to 60 seconds or more.